We invite you to Columbine Spiritual Center for Sunday services, and to our many weekly activities, study groups, and classes. 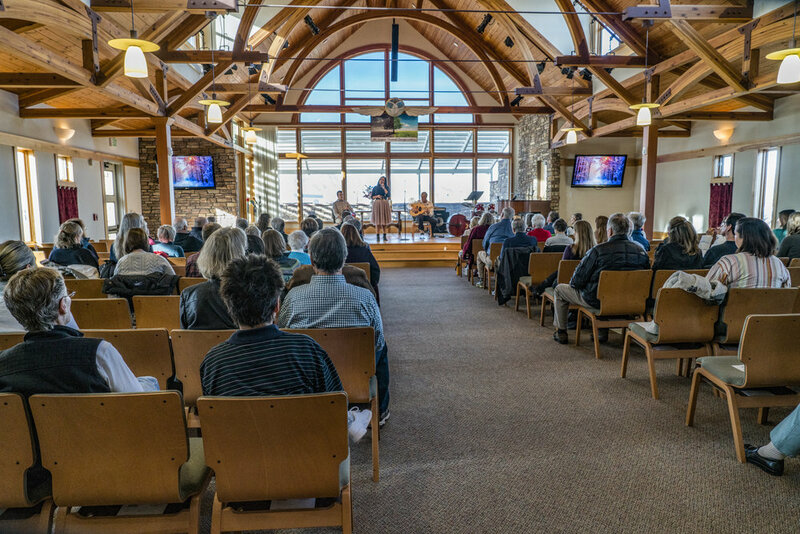 If you seek a spiritual community with a relevant message and a contemporary style, and one which respects the variety of religious traditions believing there are many paths to God, then Columbine Spiritual Center may feel like home. Columbine Spiritual Center is here to help you transform your life through the use of spiritual principles and practices. We believe that a life aligned with Spirit is a fulfilling and joyous life. We are dedicated to helping people thrive in a safe, loving, and diverse environment. Wherever you are in your spiritual path, you are welcome here. Listen to previous Sunday talks here. To receive news about Columbine Spiritual Center, click here. We are putting on a gallery style art show at Columbine. For information about each artist, click here.